I enjoy the sarcastic tone of the article and the graphic of Jay Sherman. 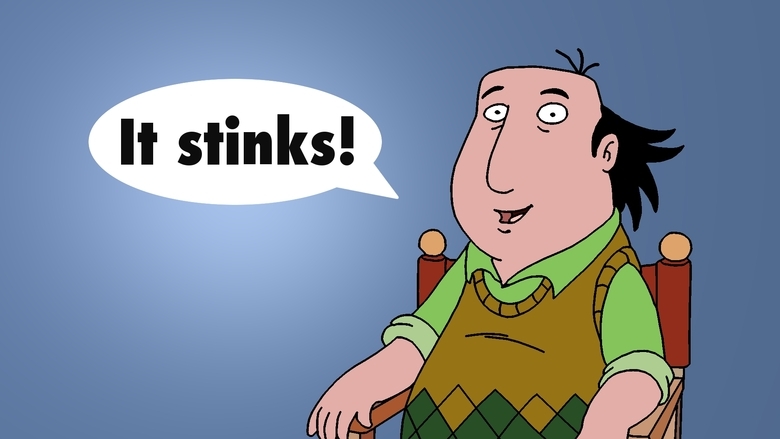 It’s the way I like my critics: animated. We’re far too hamstrung by political correctness to believe freedom of speech still exists. You can say anything you want…from your gulag cell. I am a moron, oxy or otherwise. She wore gaudy red slippers. What do critics know anyway, it is just their opinion. Thanks for the post. Critics are brilliant, just ask one. I used to live by Victoria Beckham’s philosophy that smiling gives you wrinkles which I still believe. If anyone deserves a reality show it’s her. She doesn’t smile because she hasn’t eaten in ten years. I’m glad you’re not a critic. I nearly screamed bloody murder when I thought this post was taking a turn for the serious, but thank god you stuck in the chickens in jester hats just in the nick of time. That was some nice nimble blogging! 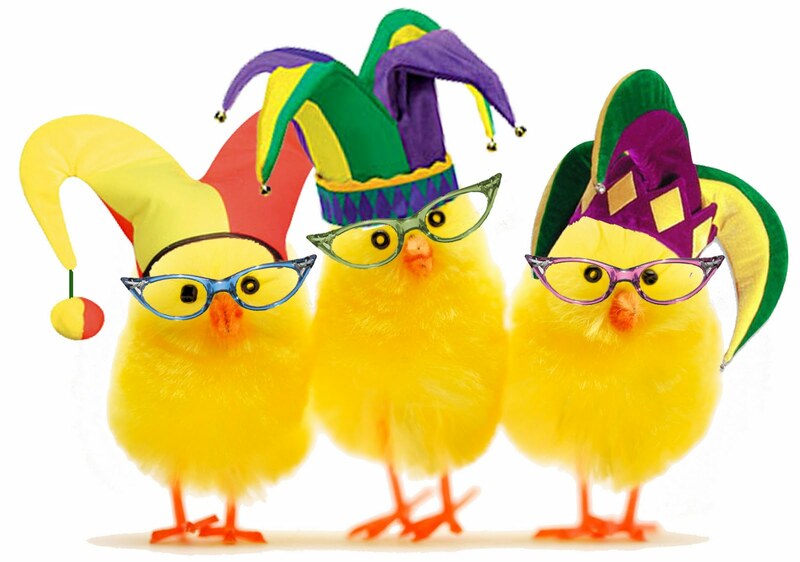 Chicks in jester hats make everything better. Well, I’m glad to see you’re treating this complaint with the seriousness it deserves. Taking everything seriously is my curse. Anyone who posts Chicks in jester hats gets their apology immediately accepted. I’ll have to remember that; I seem to anger people fairly often. I’m not nearly clever enough to be a cat. Victoria will always love you. Just keep posting the left side of her face and you’re good. Was the right side scarred in some horrendous farming accident? I think you overrate her number of dimensions. Just trying to spice things up. Loved it. Where is this blog criticizing other blogs? I want on that list. I honestly don’t remember the name of it, it wasn’t worth wasting any brain cells on remembering it. Expectations! No one told me there were EXPECTATIONS for my blog! I’ll have to remove the complaints department. Chicks after my own heart. Awwww. They live at Wits End with me. I always have great expectations. Or some other thing Charles Dickens wrote. He was pretty damn good at it. Perfect…. (except for the touch of “Spice” photo 😉 ) lol! I should have gone with cumin, you always go with cumin. Best one liner of my morning lol! How disappointing, I was going for best one liner of the week. It’s all yours as a blogging topic. Maybe as a second blog. why didn’t you show us a picture of Victoria Beckham’s foot fungus? Thanks to this article, that is what I shall devote my blog to for the rest of eternity…unless I don’t. Victoria’s foot fungus was just too disturbing. I was so looking forward to your commentary on mass murderers and foot fungus. It is stunning how frequently foot fungus leads to mass murder. Sounds like you were visited by a troll. Or perhaps you’re trolling yourself. That would be the ultimate in dastardly mischief. “foot fungus, written in calligraphy”—Ha. Take that, Lotrimin. This is sort of the culmination of multiple criticisms. I strive to wither crops, that’s awesome. Now back to my blog where I’ll be writing about crafting using toilet paper rolls and spit. I can’t wait to read that, and maybe try it out myself. A tip: use your own spit. I remember VB when she did look like that but doesn’t look much like that any more; she’s more full of chemicals than a shell garage. Then once again I’ve failed.